The King of Beers will now be answering to InBev. After months of stern resistance, Anheuser-Busch voted to accept InBev’s $52 billion bid. InBev, a Belgian company known for making Beck’s, Bass, Stella Artois, Hoogarden, and Leffe (just to name a few) has now combined with the American brewery to make the largest in the world. 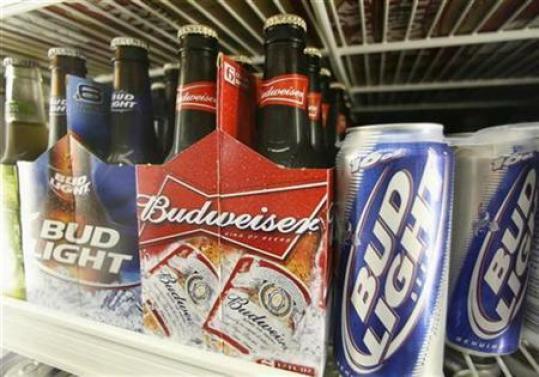 Anheuser-Busch has controlled more than 48 percent of American market share with brands that include Bud Light, we will see how sales in the US are affected by this acquisition. The concept of the iconic ‘American’ brewery falling into foreign hands sparked fire into the public and politicians. Unfortunately the fire could not be quenched as large shareholders wanting quick cash resulted in the takeover. InBev has a reputation for cost-cutting yet promised to keep all Anheuser-Busch breweries open. There has been no promise as to Anheuser-Busch employee job security. There has been talk indicating the selling of non-core assets, which would probably include theme parks (Sea World and Busch Gardens). It should be interesting to see how other American beer companies will respond to this takeover. I’m sure in the coming weeks we will see more ‘patriotic’ WE ARE AMERICAN ads from the likes of Sam Adams or other all-american breweries. This entry was posted in News and tagged Anheuser-Busch, Beer, Budweiser, Busch Gardens, Business, InBev, News, Sea World, takeover on July 14, 2008 by bentlyr.